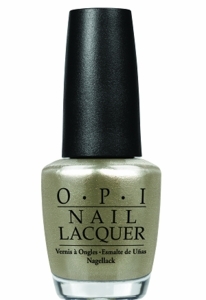 OPI Nail Polish, Centennial Celebration Nail Polish, NLC94, .50 fl. oz. Sparkling metallic silver nail color with fine antique gold shimmer that adds warmth to the silver.